**$5,000.00 Seller help and the price was just reduced to $229,999. ** If you like"old homes", with lots of character, you will enjoy this "solid built" 1900's home situated on a corner lot. 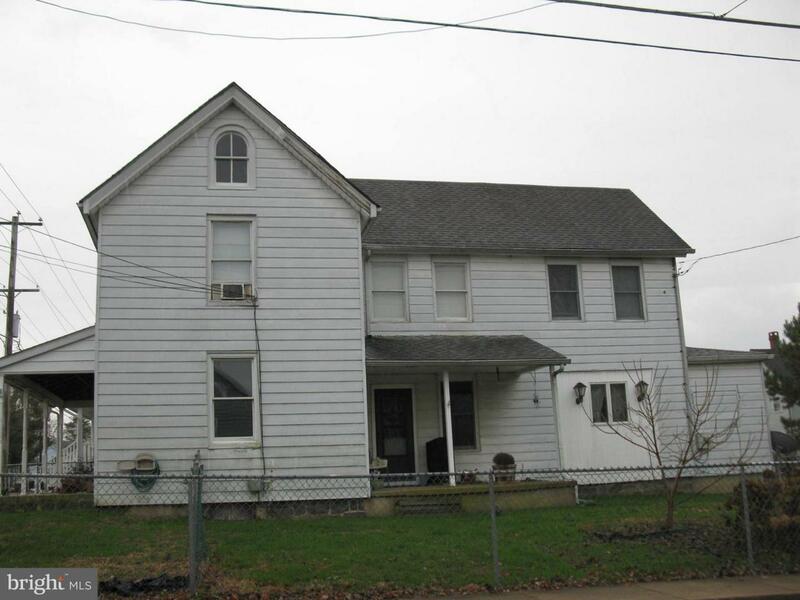 Within walking distance to the Susquehana River and to the Town of Perryville. You can catch the Marc Train in the middle of town and if you work in DC...it's a great way to travel. Shop in town convenience but feels like you are in the country. One can tell the builder must have built this home with pride. This house boasts some original wood flooring, some original crown molding, original railing & banister & more. The rooms are large and the ceilings are 9' and 10' high. The windows have been replaced with mostly Andersen windows. There is a custom made concrete patio at the front entrance. The yard is fully fenced and there is off street parking as well as on the street. This lovely house is currently being used as two rental units(main level & upper level). Great for producing income...or....turn this home back into a beautiful single family home. It is approximately 2,488 square feet of living space. This is a property priced to sell! Take a look, you will be impressed.